Our local island community. Fishing. Boatbuilding. Markets. Local economy. Malaysia in a nutshell. Mohan takes all guests on a 'round the island' trip in our vehicle. This gives you your bearings. The tour is pretty comprehensive and you will certainly go away feeling like you definitely know how Pangkor Island works. There is a lot to see and it is really fascinating to learn that there is so much activity and culture on this small island. 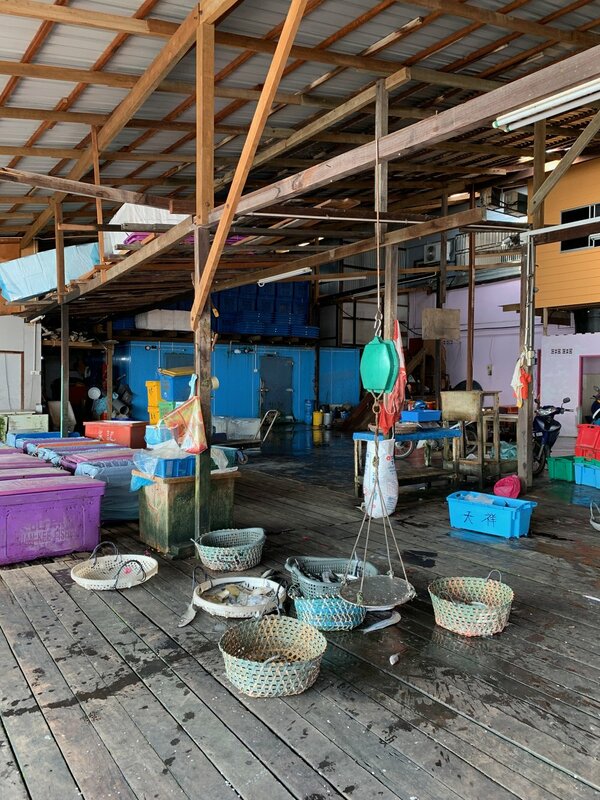 Things you will look at are the fishing boat jetties, the ikan bilis drying and sorting areas (Pangkor is famous for this dried whitebait type fish), the boat building yards, all the various temples, the markets and obviously the beaches. There is also an opportunity to try some of the breakfast food at Sungei Pinang Kechil (SPK) where the street is set up in the morning with stalls selling different foods. Mohan's wonderful local knowledge also gives you the opportunity to see the different temple ceremonies. Local people are incredibly friendly and welcome you all into their various ceremonies.